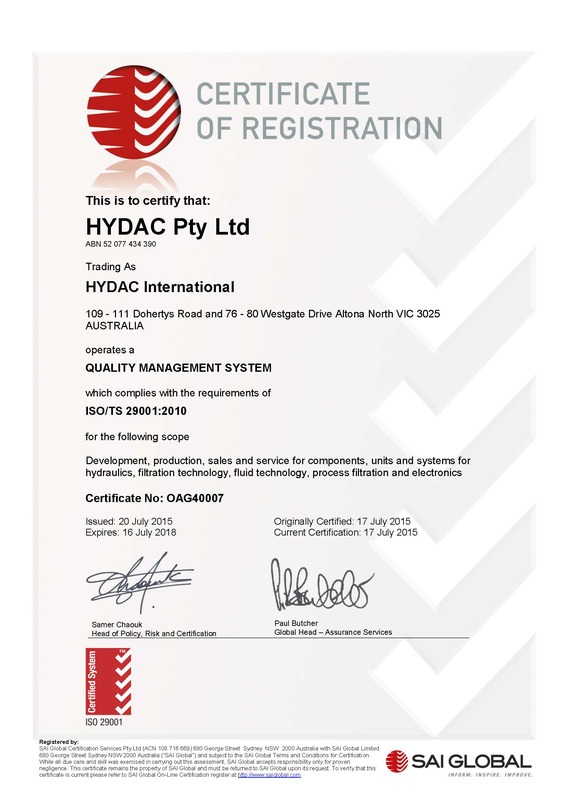 It is with great pride and satisfaction that HYDAC Australia announces the ISO/TS 29001 certification. The ISO/TS 29001 standard is an extension of the internationally recognised ISO 9001 quality management systems standard and it has been developed as a direct result of a partnership between ISO and the international oil and gas industry. The ISO/TS 29001 defines the quality management system for product and service supply organizations for the petroleum, petrochemical and natural gas industries. This certification by SAI Global verifies that we are committed to the quality and it ensures standardization and improvement within the Oil & Gas sector. Click here to read our Oil & Gas Capability Statement.